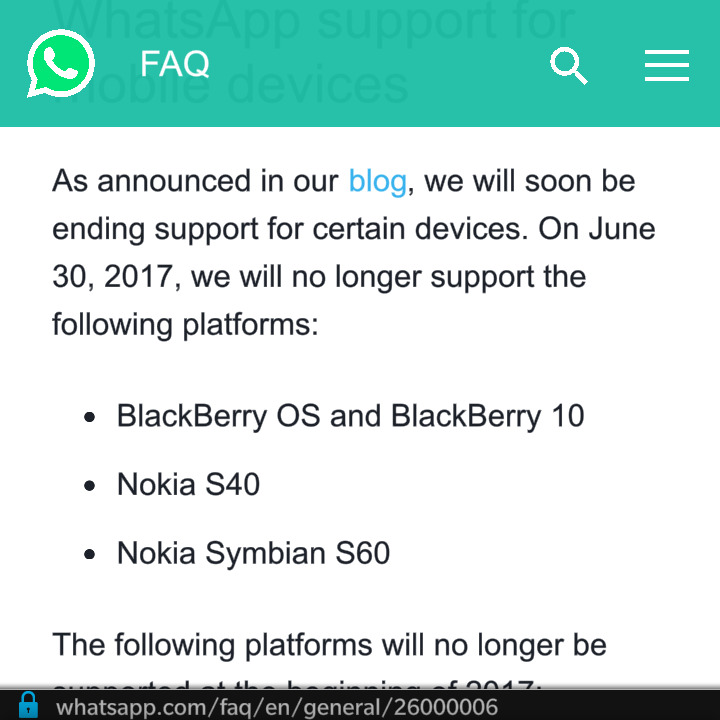 As most of us already know, WhatsApp initially planned on stopping Support for some old devices today, January 1st 2017 but they have decided to postpone it. 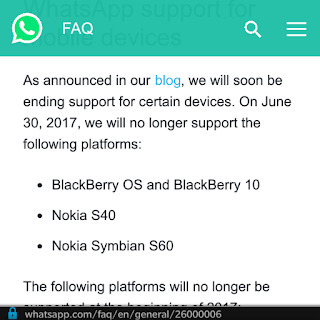 Now, WhatsApp has decided to extend support till June 30th, 2017. So if you happen to be one of those who ought to have been cut off today, you now have 6 more months of grace. So if your current phone falls into one of the categories listed above, then it's time for you to let go of that already obsolete device and upgrade into something more current.